Big Danbo invited Little Danbo to the park today for a picnic but never showed up. Apparently, it was one big April Fool's Day joke. Tsk, tsk. 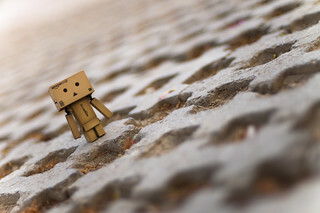 What do you suggest Little Danbo do to get back at him? Leave a suggestion in the comments and the best one I'll use in the follow up photo to this one. Be as creative as possible.